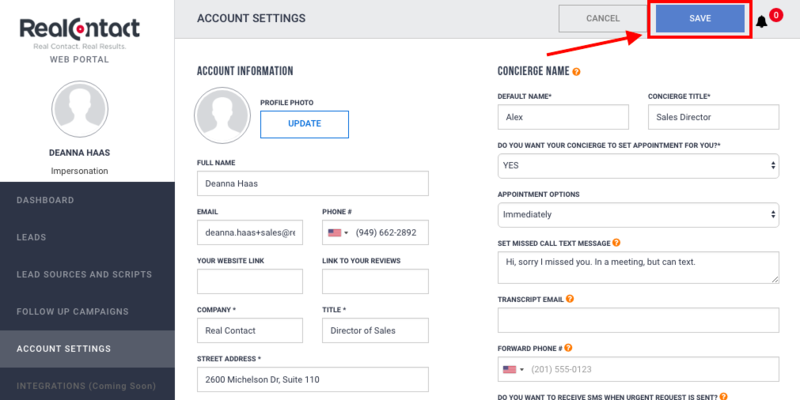 Urgent Notifications are used when the concierge needs the subscriber to step in and "claim" the conversation. 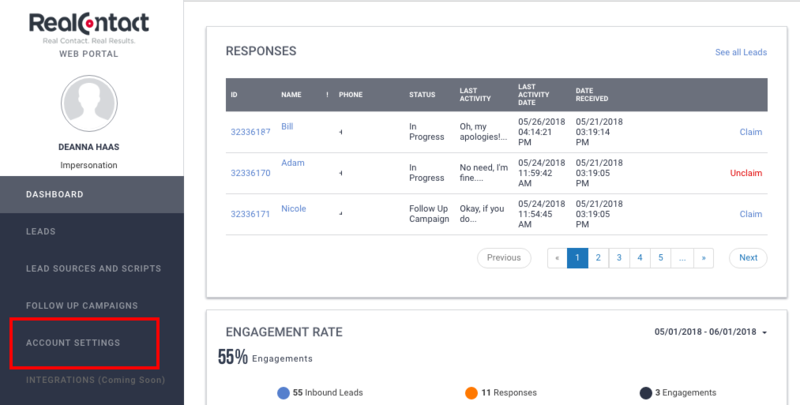 Urgent Requests are sent when a client asks a questions that the concierge may not know the answer to, or if they are looking to talk to the subscriber ASAP. When you receive an Urgent Notification please go to your Real Contact app, or web portal and claim the conversation and step in to respond to lead based on notification. Urgent Notifications are sent via email, as well as the option to receive a text message. If you would like to turn off the text notification please follow the below steps. There is no way to disable the email option. 1. 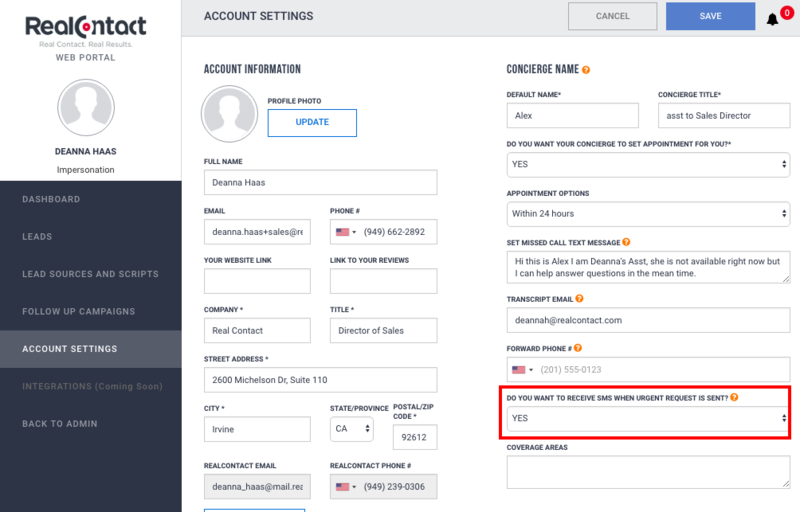 Login to your Real Contact account, Click 'Account Settings"
2. Scroll to the option "Do you want to receive SMS when Urgent Request is sent?" Please note: the default response is yes. 3. If you would like to turn text alerts off, please change drop down to "No"